When I won Howard County Teacher of the Year, a parent approached me after the ceremony and said, “Jody, you have no idea what your award means for this school.” My eyes welled up because I did know. I do know. I know what it means for minority majority schools with over 40% of students on free and reduced lunch, and over 60 languages, to be elevated and celebrated. And I know that to connect an ever-widening expectations and opportunities gap, the bridge must actually meet both sides of that river. As a tremendous advocate for educational equity, NNSTOY encourages and supports educators like me go to the mat on principle, for that which is just--no matter how lonely--on behalf of the voiceless and marginalized. The members continue to sustain my willingness to endure the vertigo of vulnerability which inevitably accompanies human relationships and complex dialogue around race and equity issues. I know about the real and crushing problems of life my students bring into the door jamb every day. I am aware of my students’ learned self-fulfilling prophecy of failure and the all-too-present “stereotype threat” which are heavy loads to bear. I’ve had many conversations with all-too-many young, gifted students of color who, when looking in the mirror, have learned to see someone other than their true selves. And it is NNSTOY who reminds me that the cognitive and affective domains are not destined to conflict. I am able to fight for justice and equity in the classroom every day, because NNSTOY empowers its members to reach for common ground and the Greater Good. 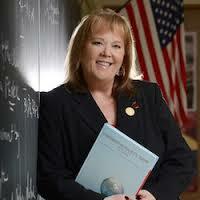 Jody Zepp is the 2015 Maryland State Teacher of the Year and the 2015 Claes Nobel Educator of the Year. She teaches social studies at Long Reach High School in Columbia, Maryland.